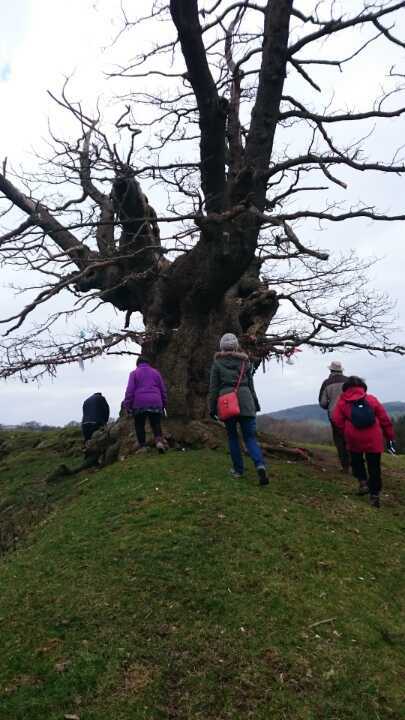 Our first port of call was a journey to the WHITELEAVED OAK, an ancient tree with a sacred responsibility for holding the healing energies of the surrounding land. 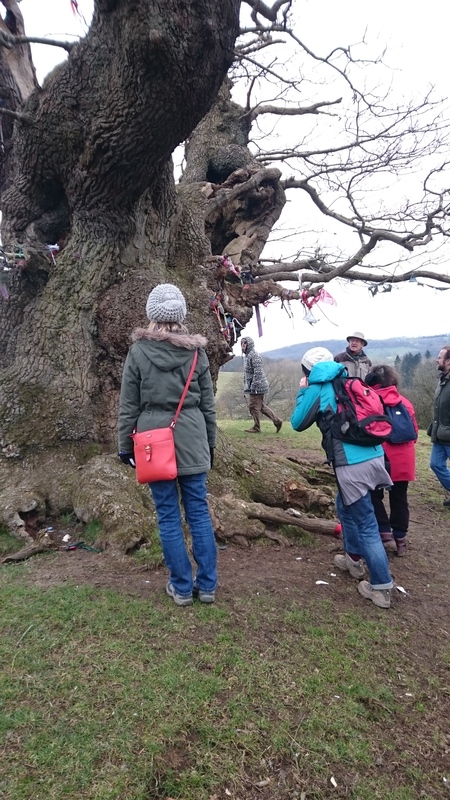 out of respect for this old tree who’s coming to the end of her life with perhaps a few seasons more ( apparently a new sacred tree has been chosen to continue, once this tree departs ), we held the ceremony in the paddock just outside the field. there were around 25 of us and we made a circle and invoked all the Earth spirits and Angelic beings we needed for this rite. this ceremony was for calling down the love energies and we gave thanks to all the trees who had given up their physical bodies to give us shelter and warmth. we asked that healing energy be sent to all trees that are or have been cut down by mankind and that they felt no pain or shock. as we were working with the energy of love we invoked Archangel Chamuel and Charity and all four elemental realms of fire , air , earth and water. focusing on our heart centres we all created a ball of pink energy in the centre of the circle from our hearts and if viewed from above it would have looked like spokes from a wheel feeding a huge ball of pink light in the centre. this energy would later be carried across to the tree and given through our guide Rick to the tree itself. 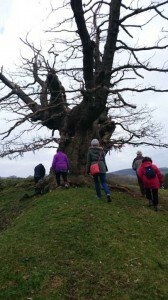 we also linked our energies in with the tree roots that allowed us to flow with that sacred community of trees and be present all over the world , wherever tres grow and roots entwine.